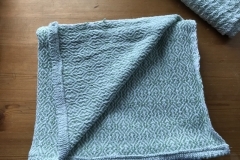 Pattern: Two simple twills for the dish towels; and then I worked out a “waffle-ish” weave for the hand towels, based on the threading and a new tie up. 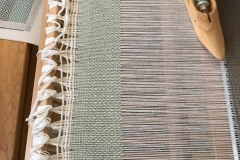 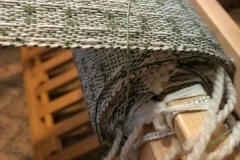 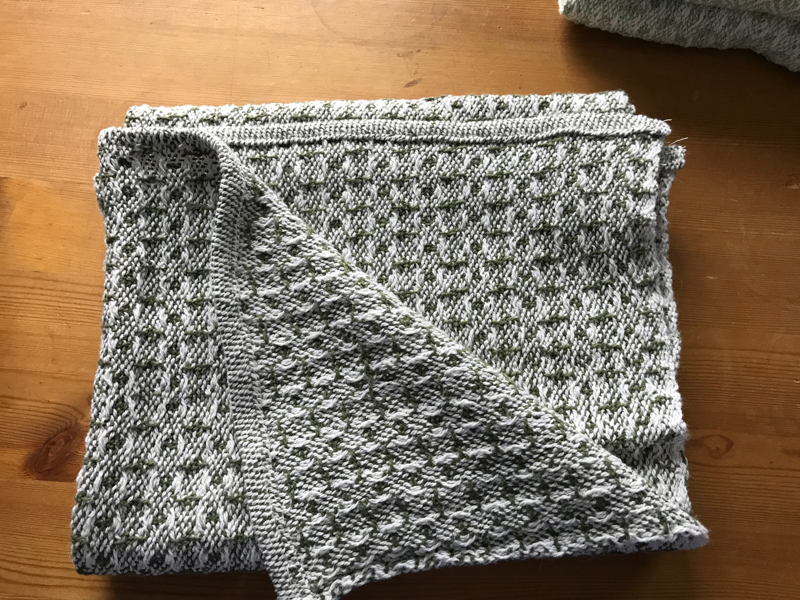 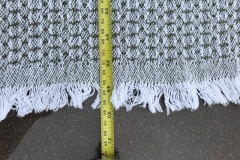 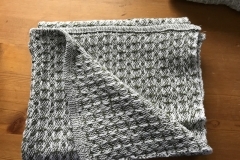 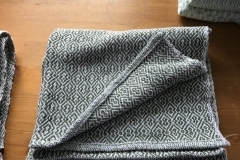 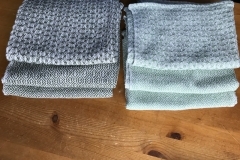 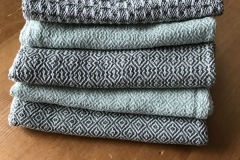 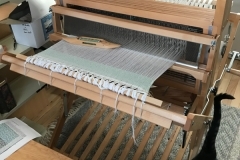 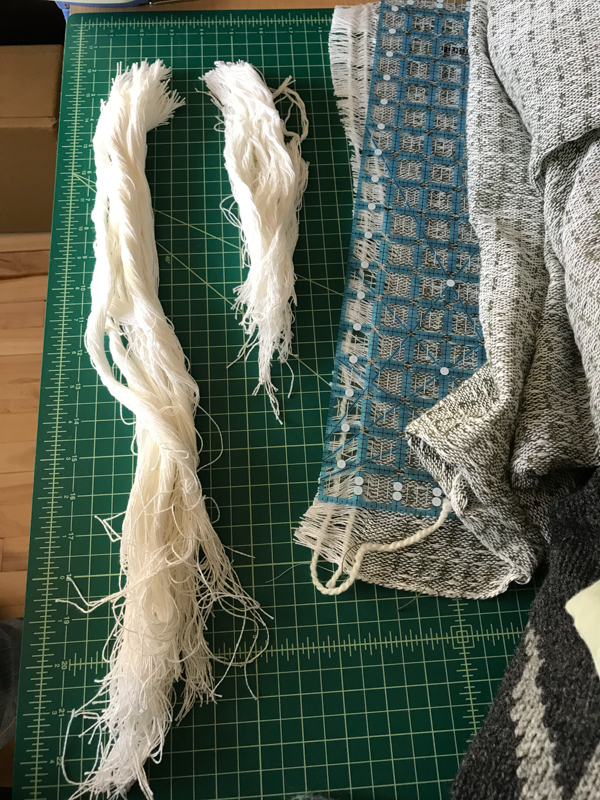 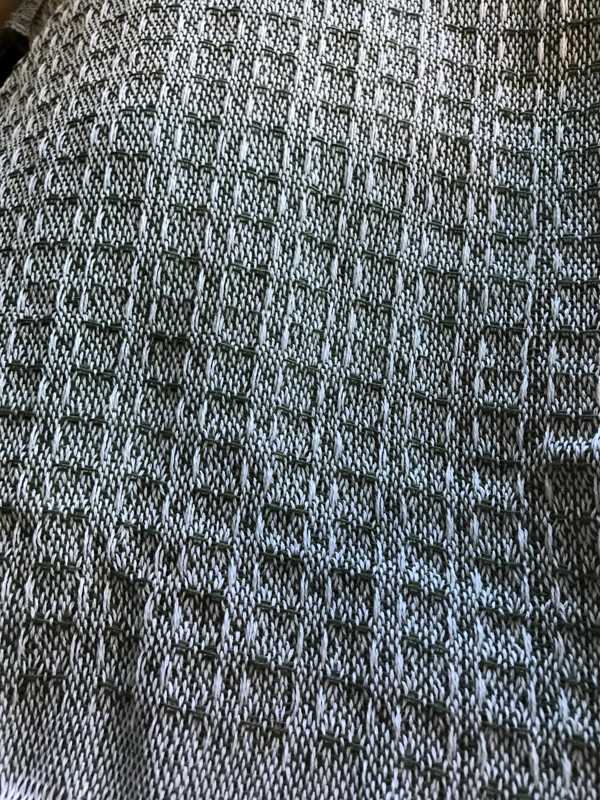 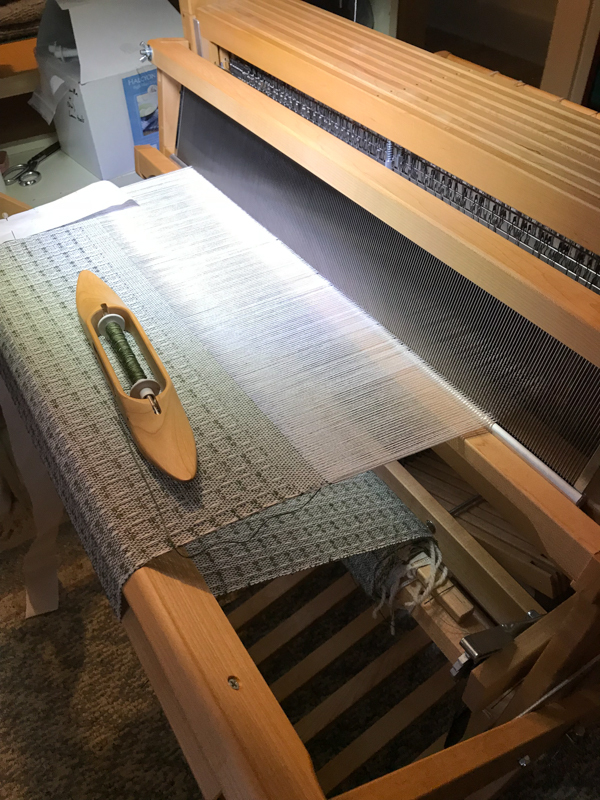 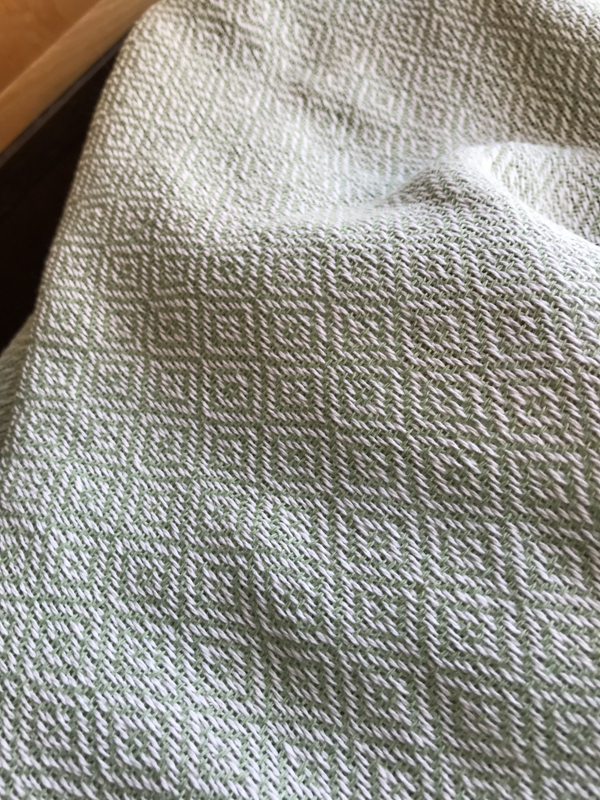 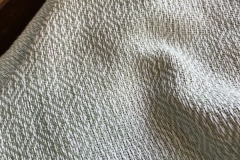 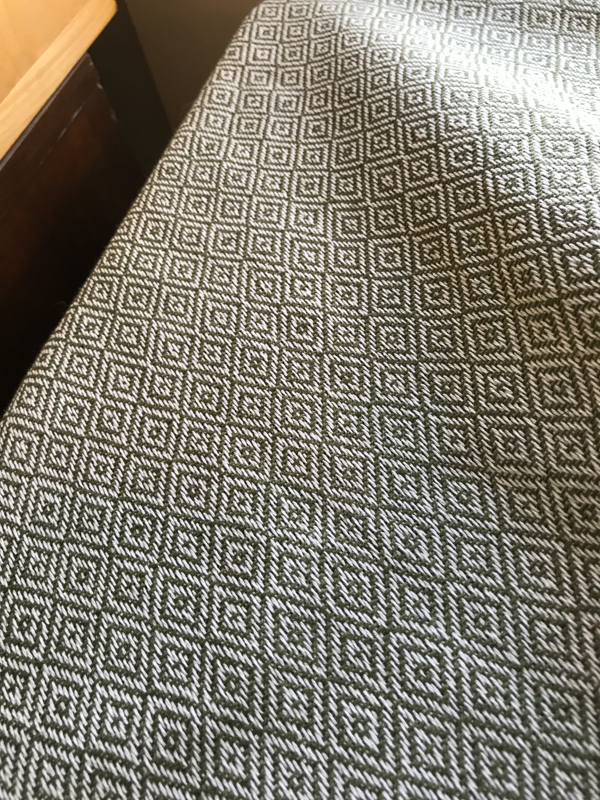 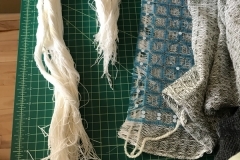 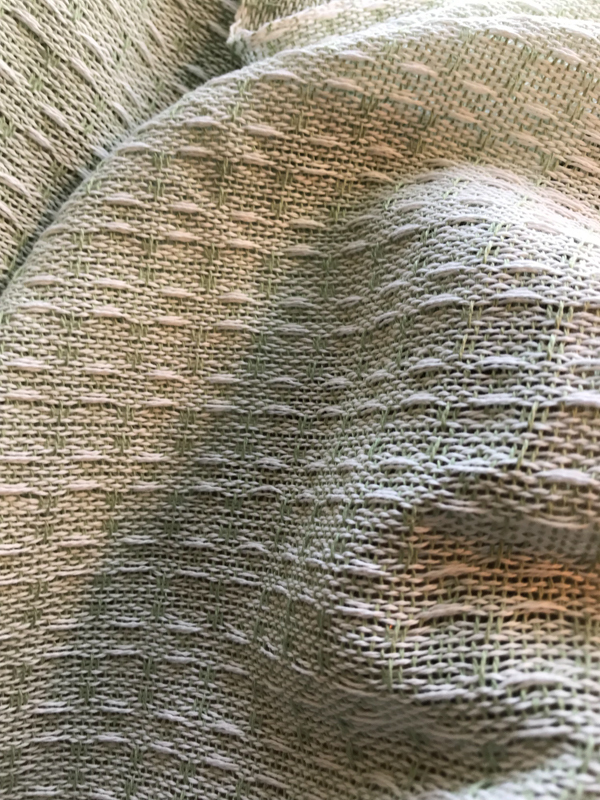 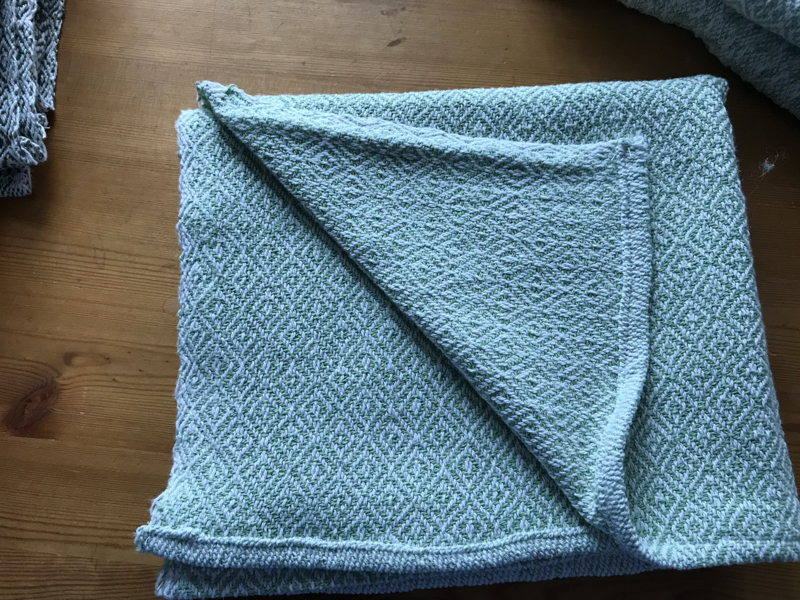 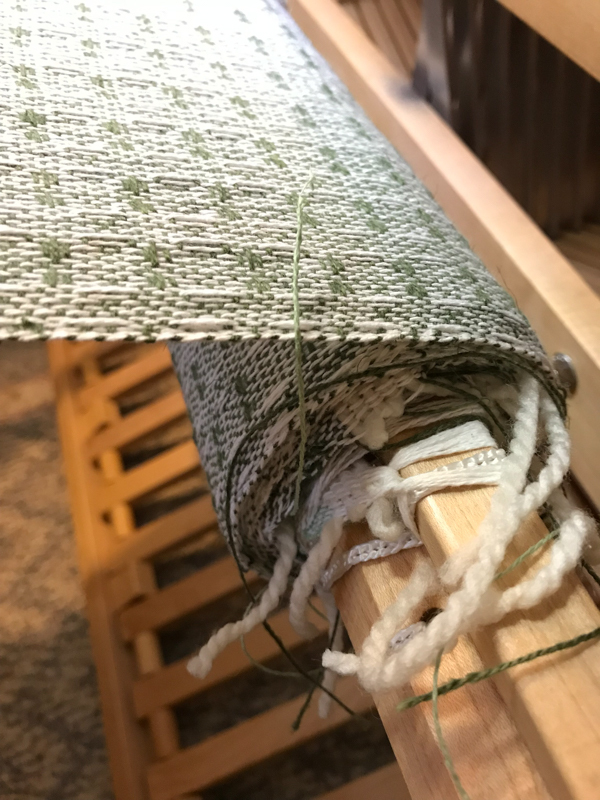 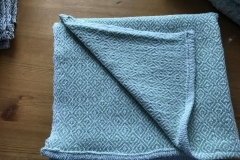 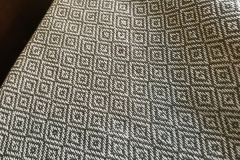 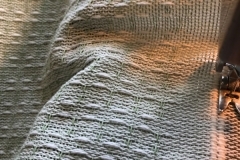 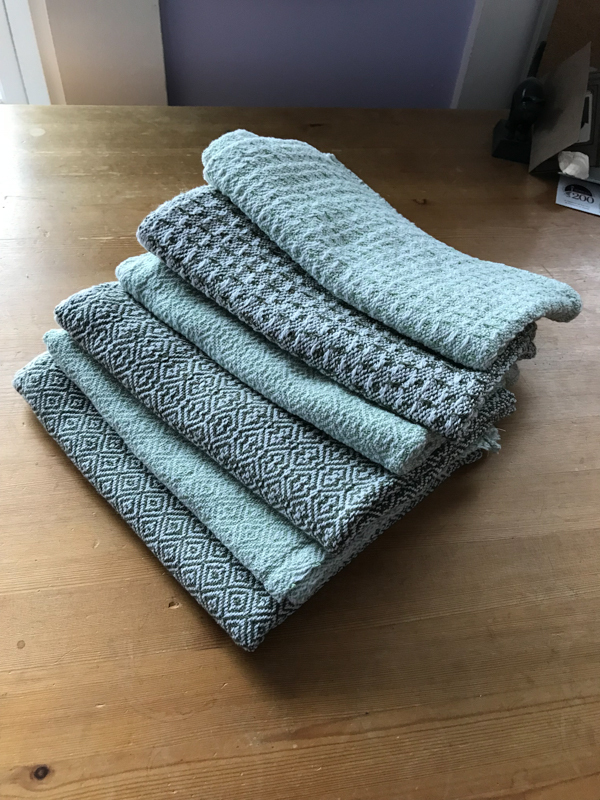 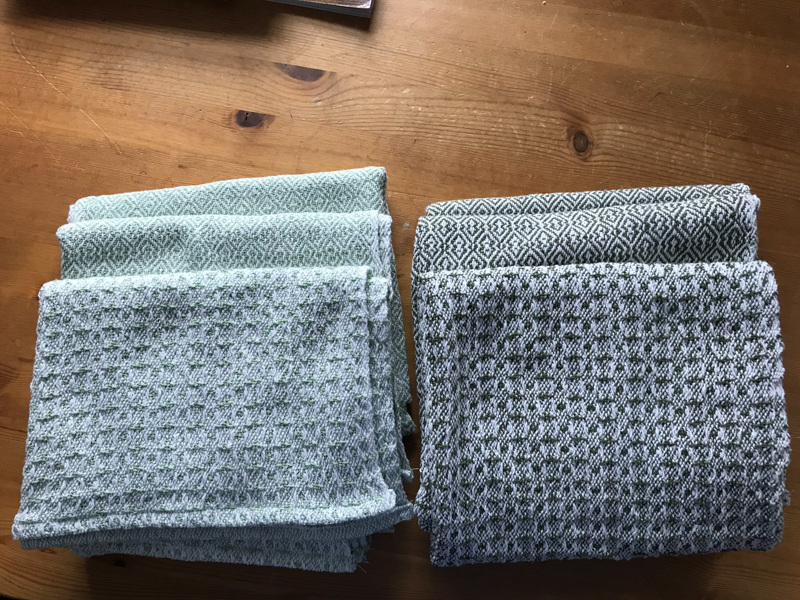 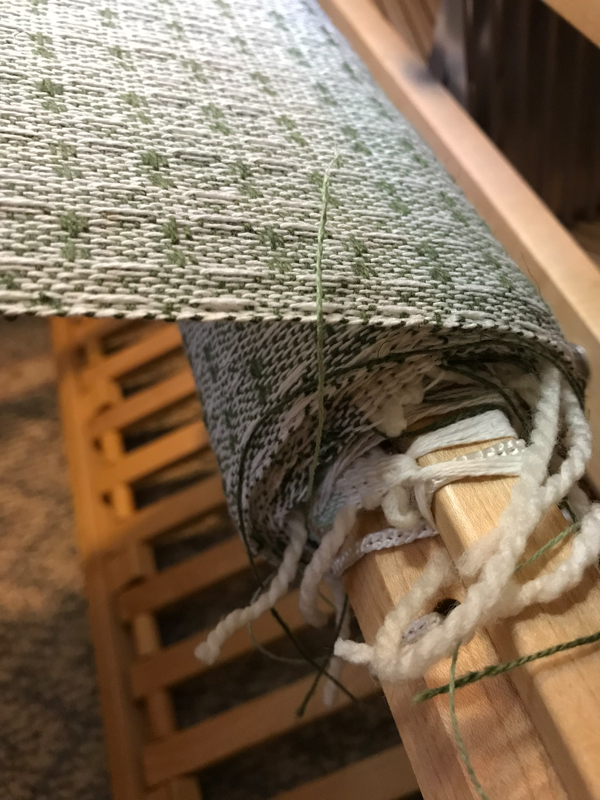 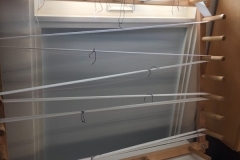 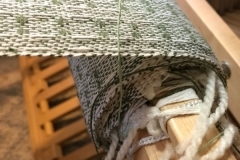 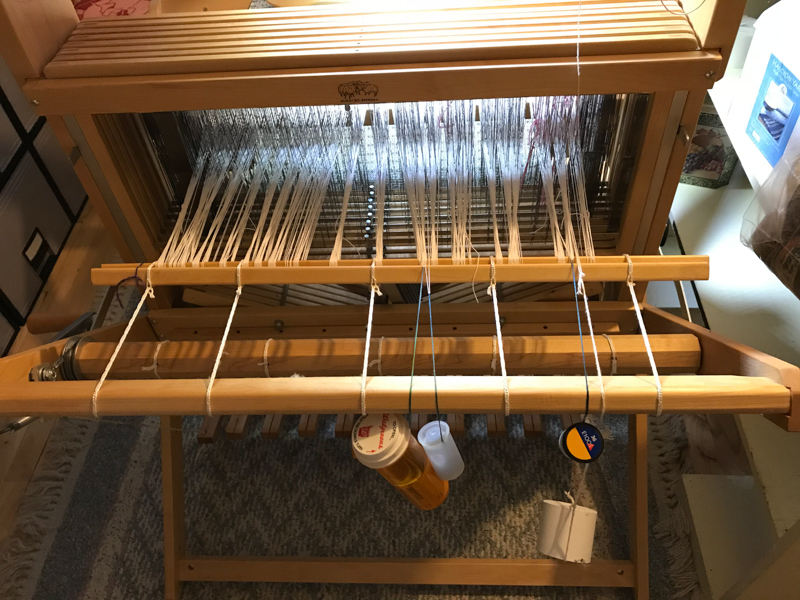 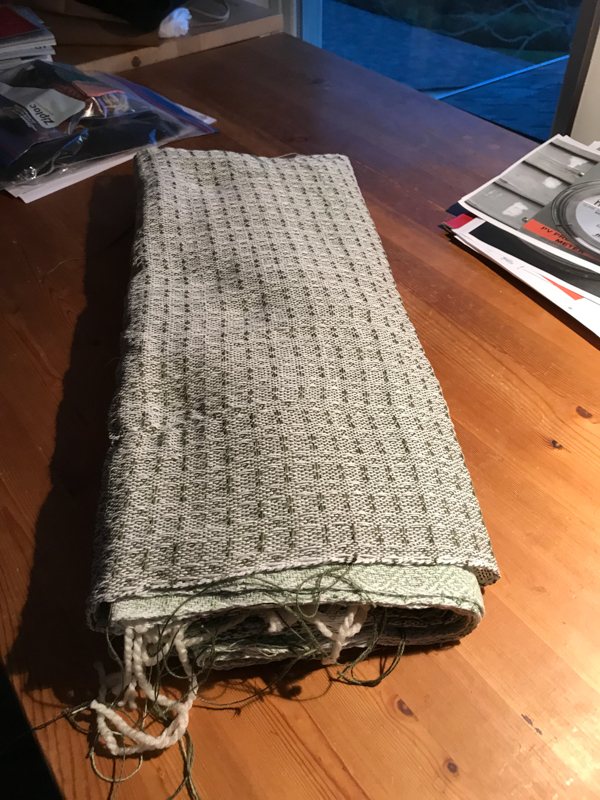 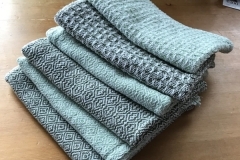 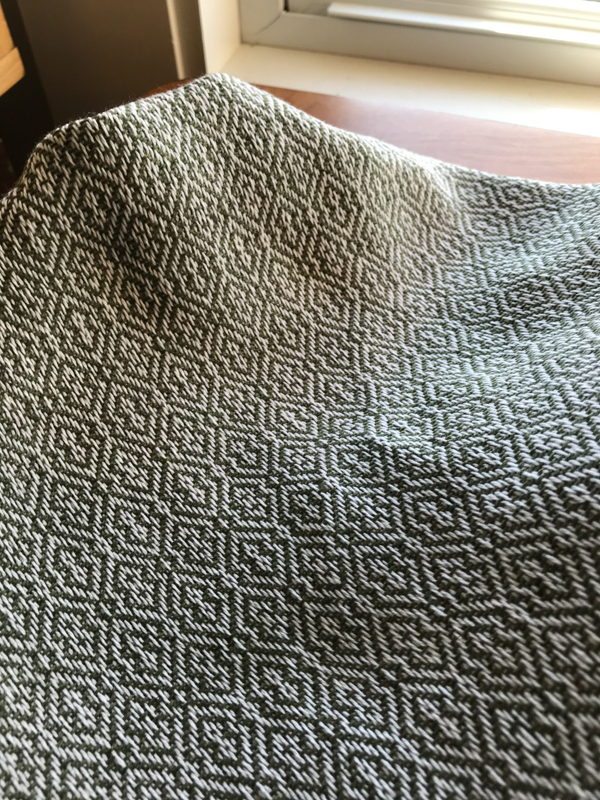 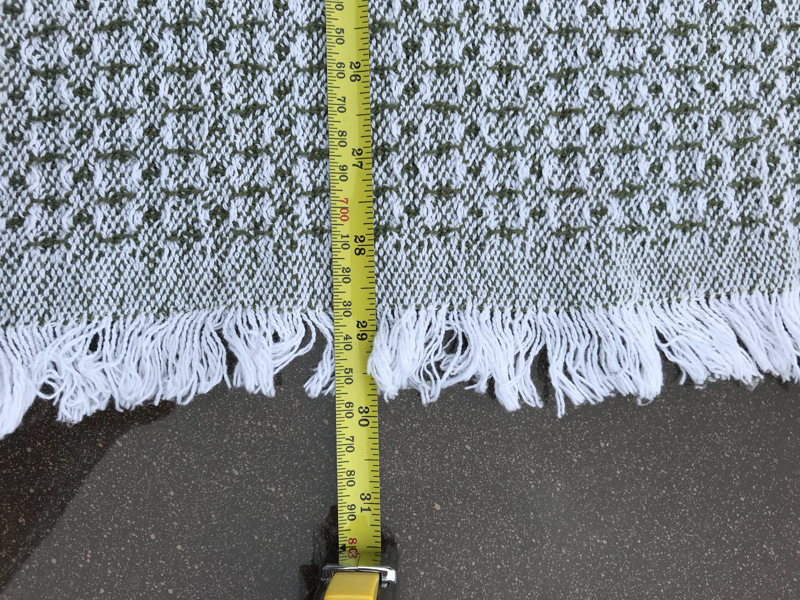 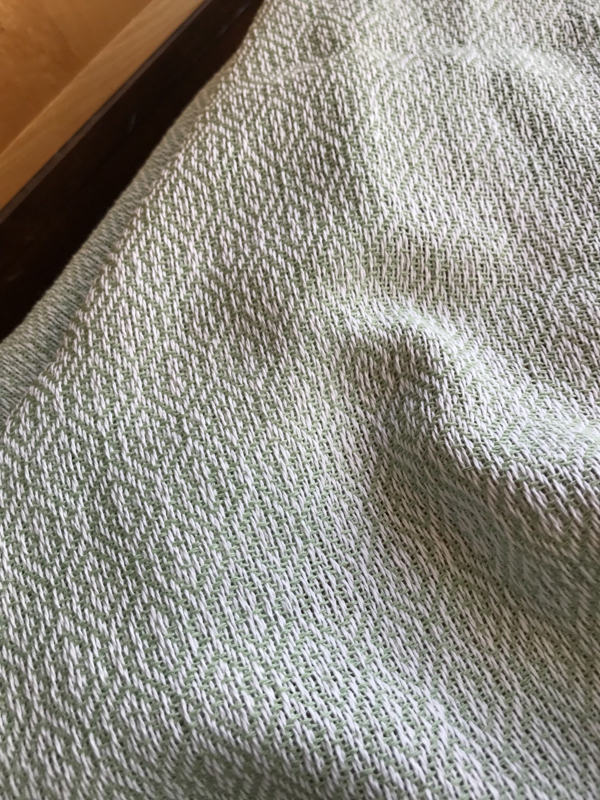 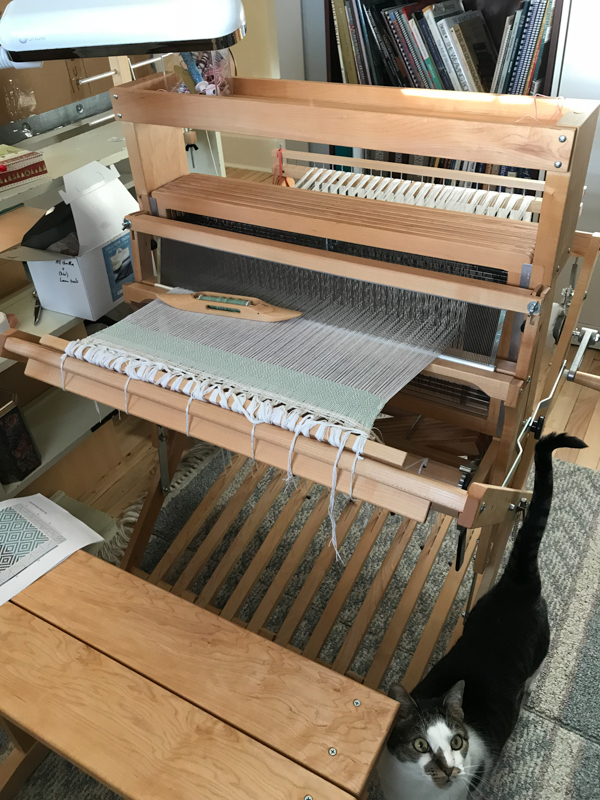 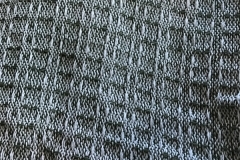 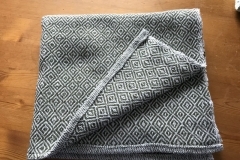 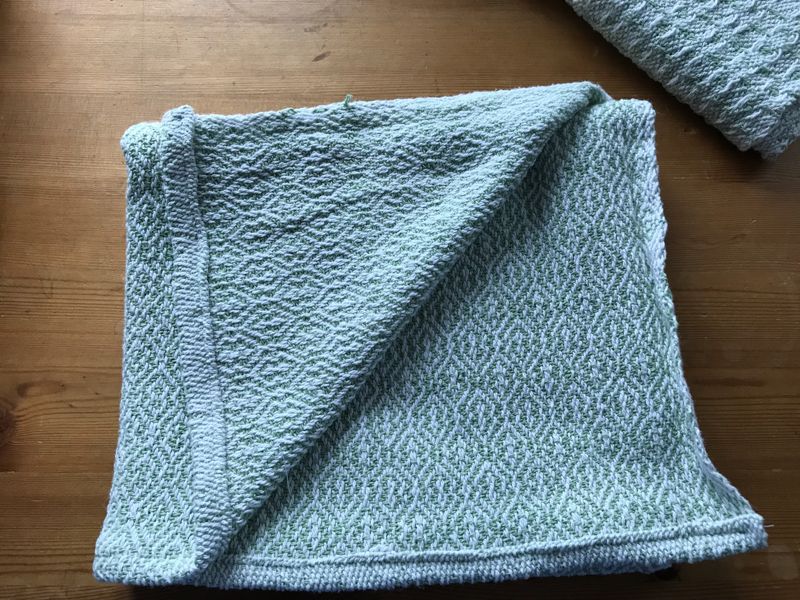 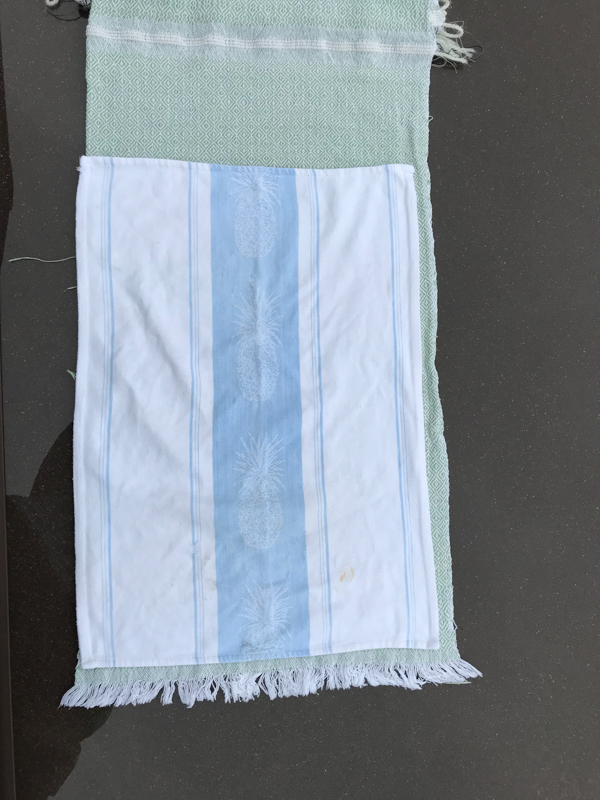 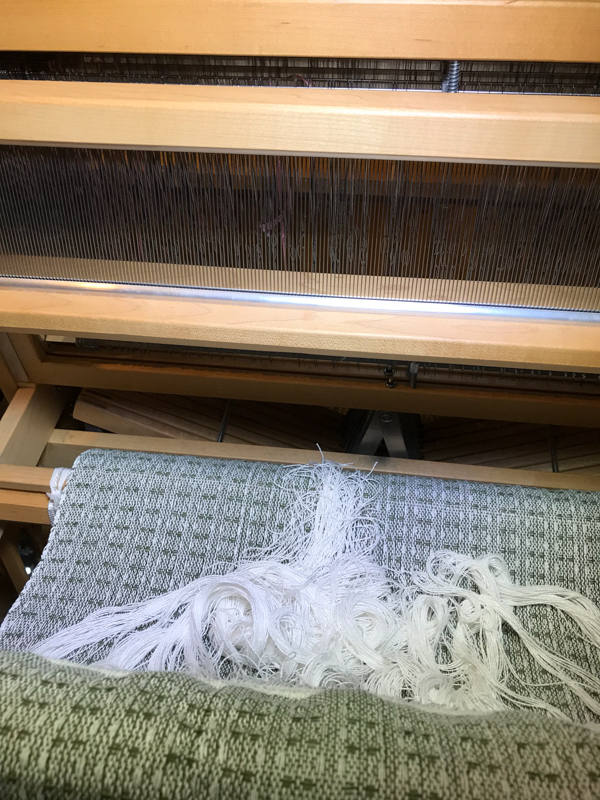 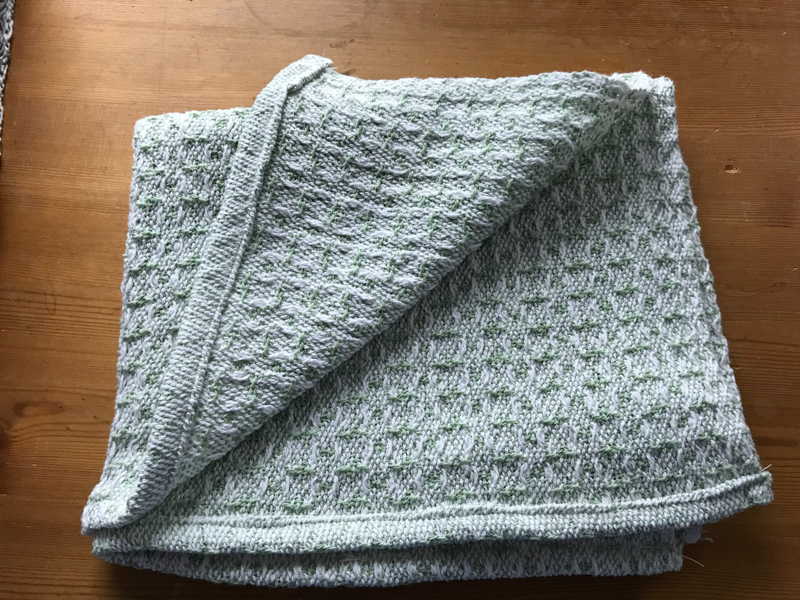 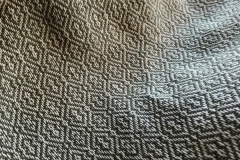 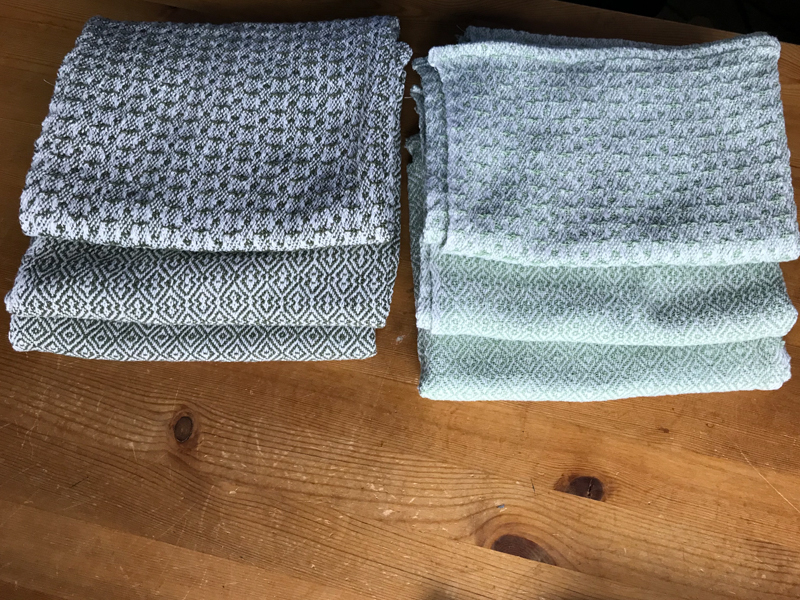 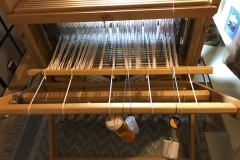 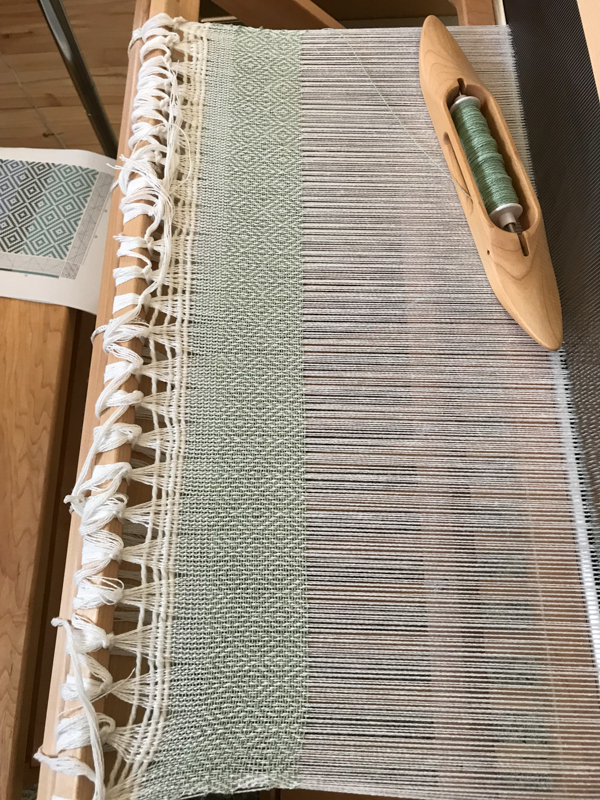 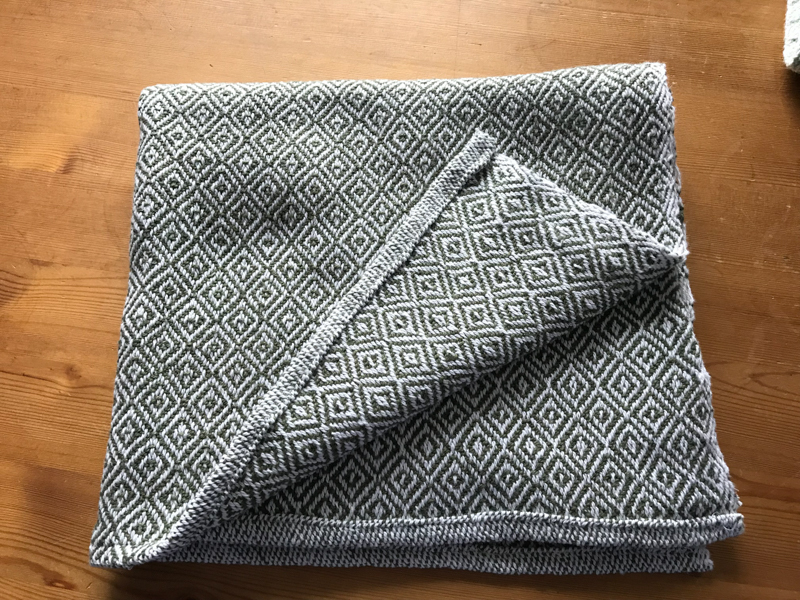 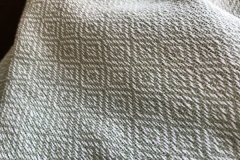 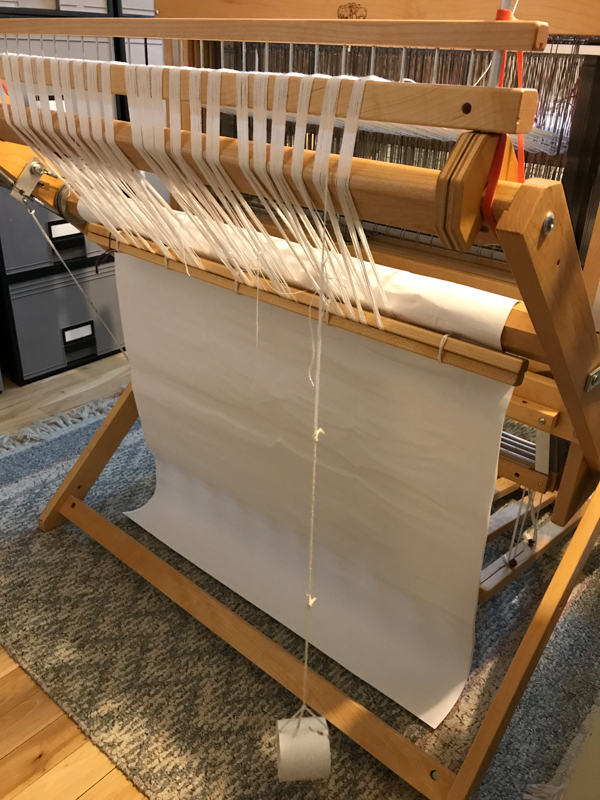 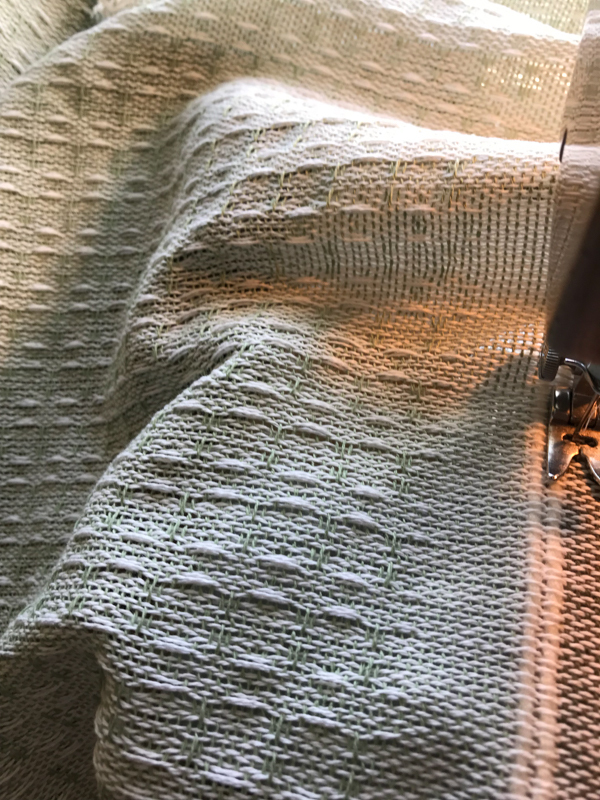 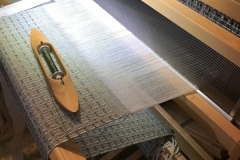 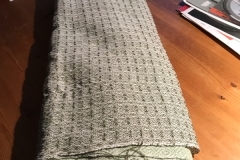 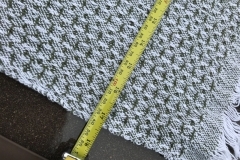 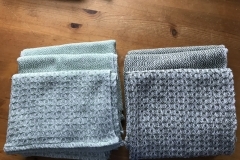 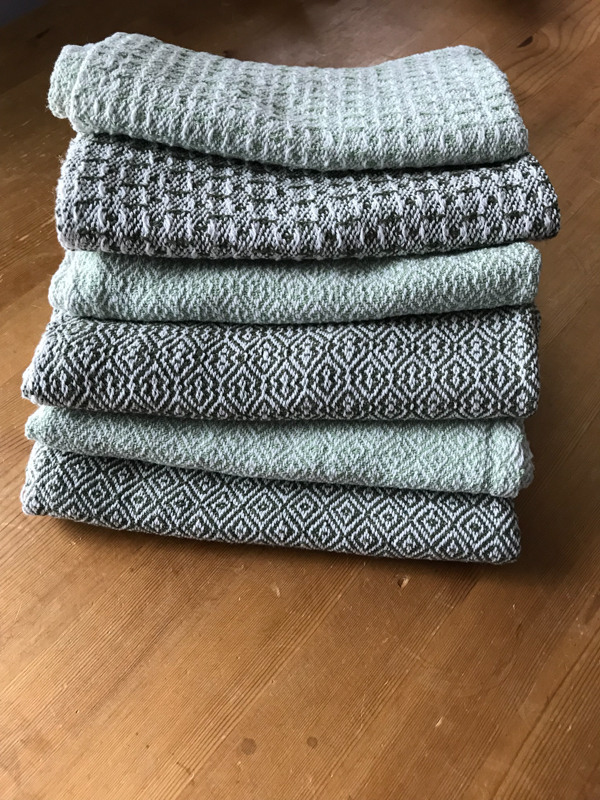 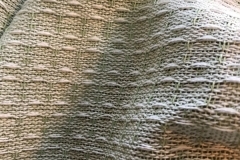 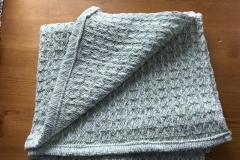 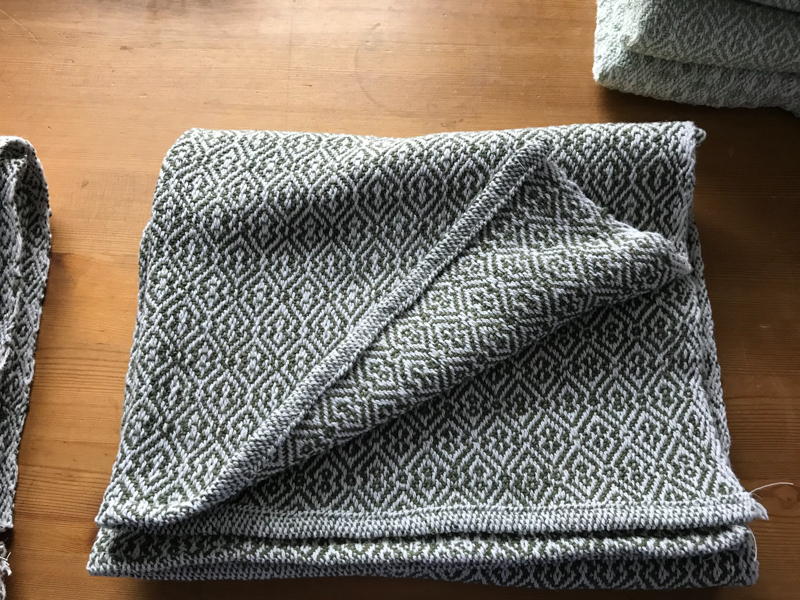 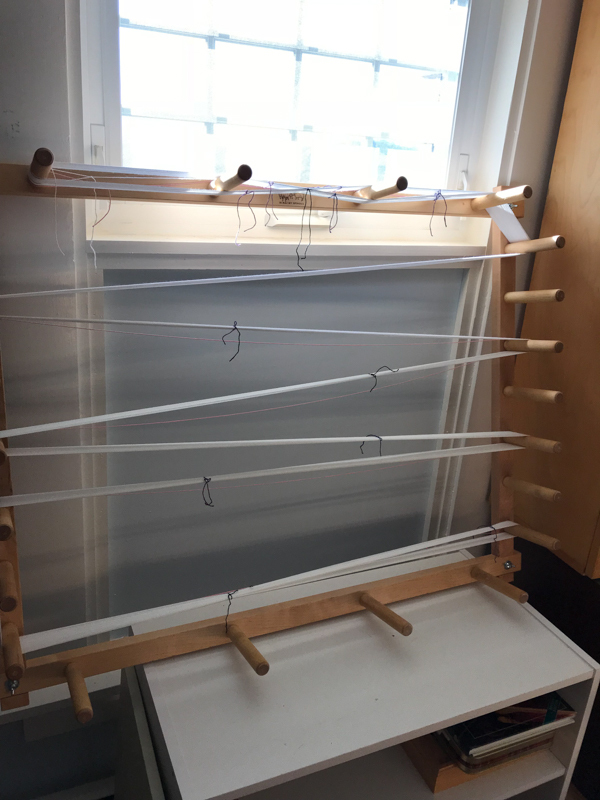 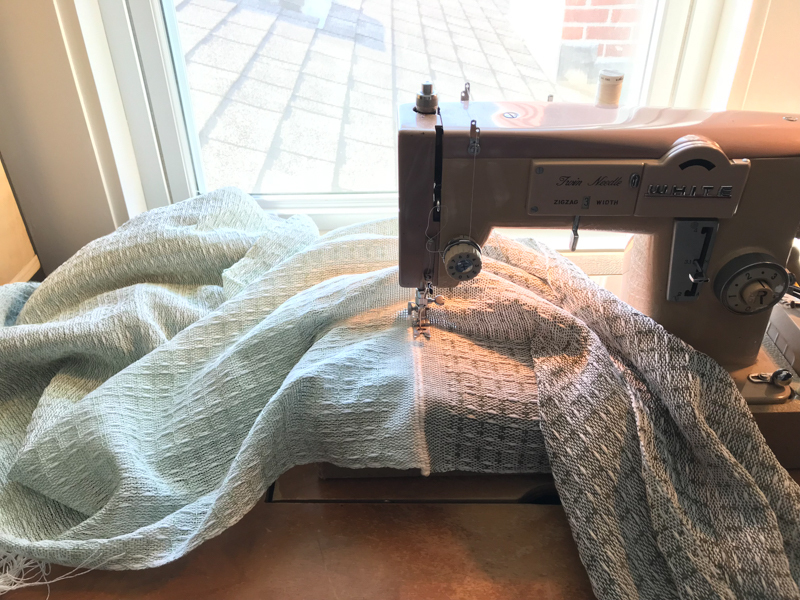 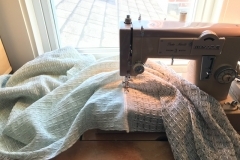 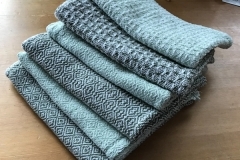 I put on 7 1/2 yards of warp, and wove 4 twill towels (two in each colour) and then figured out enough waffle weave to change the tie up of the shafts and make 2 waffle-ish towels as hand towels. 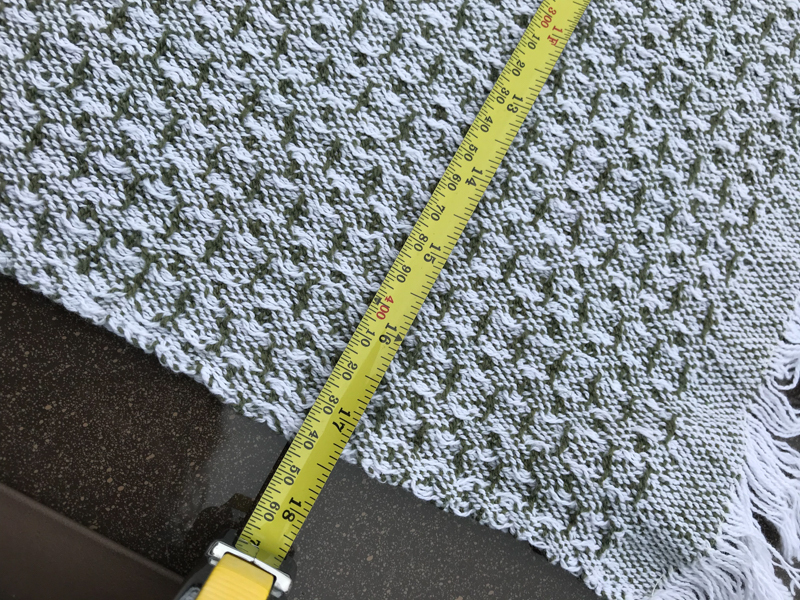 There was, as expected, a lot of shrinkage once I washed them, although I was a bit surprised the waffle-ish ones didn’t shrink a lot more than the twill ones. 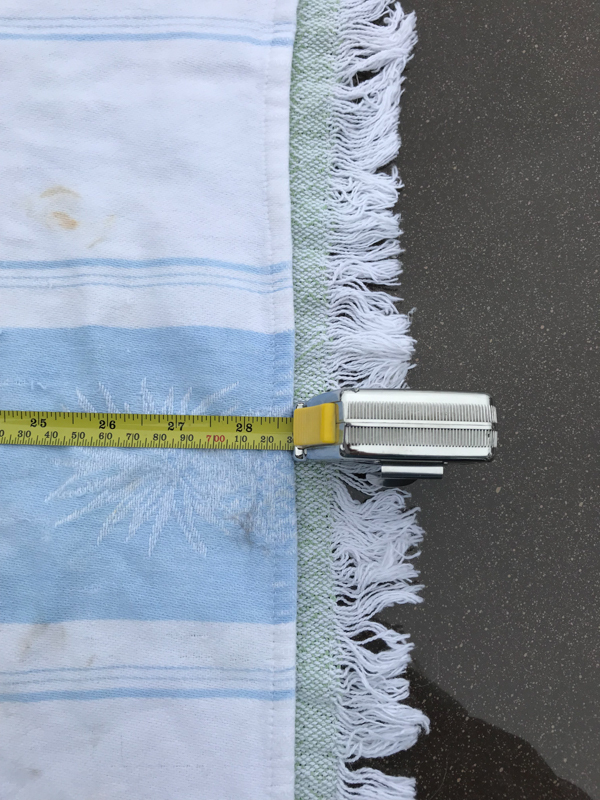 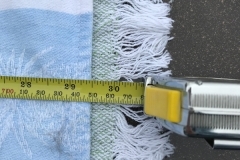 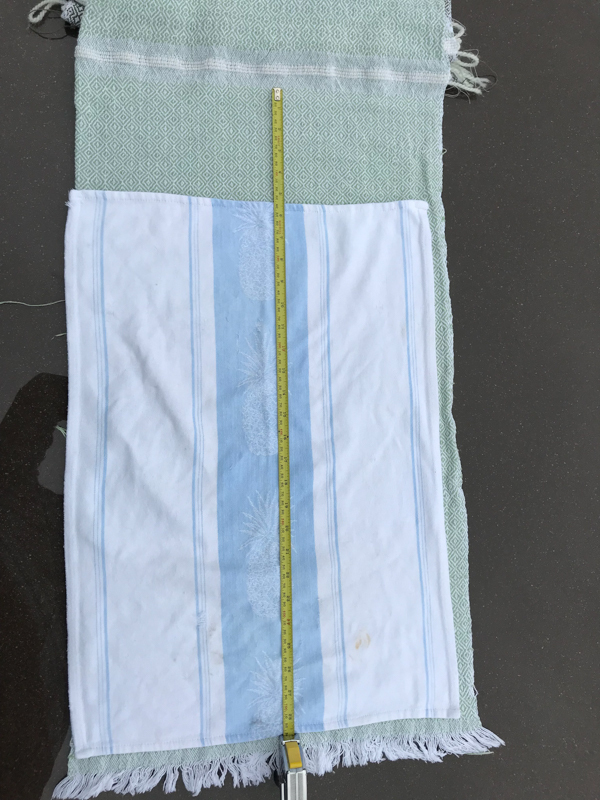 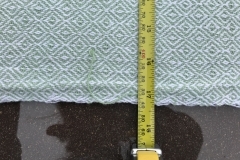 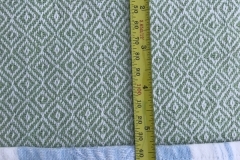 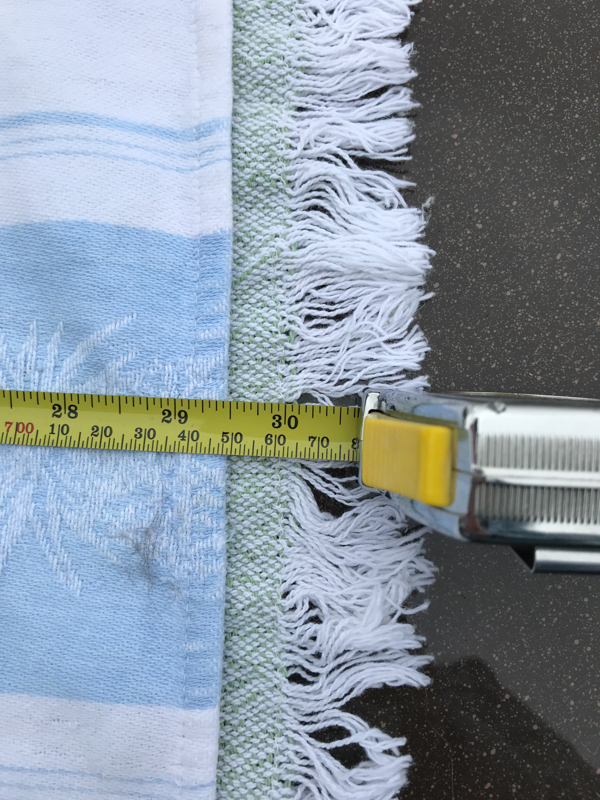 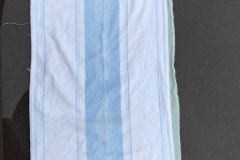 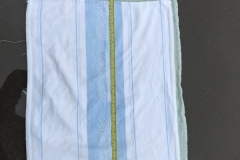 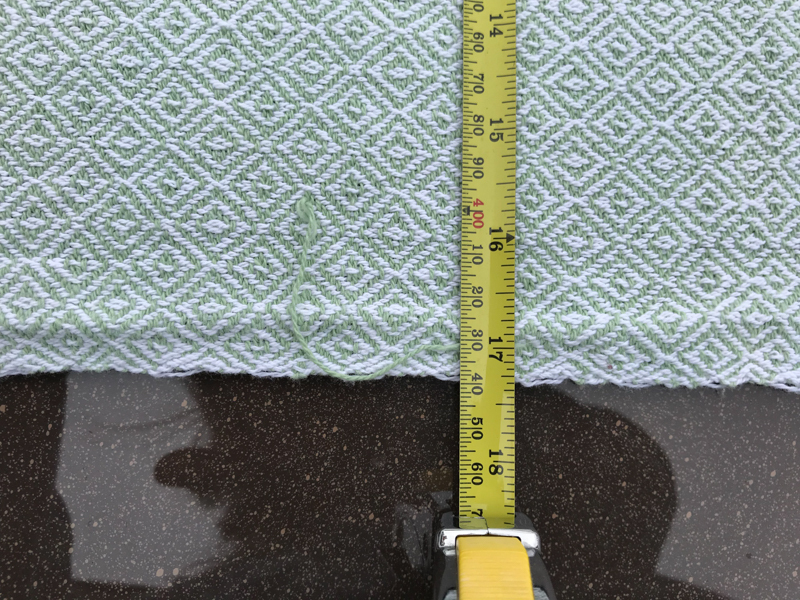 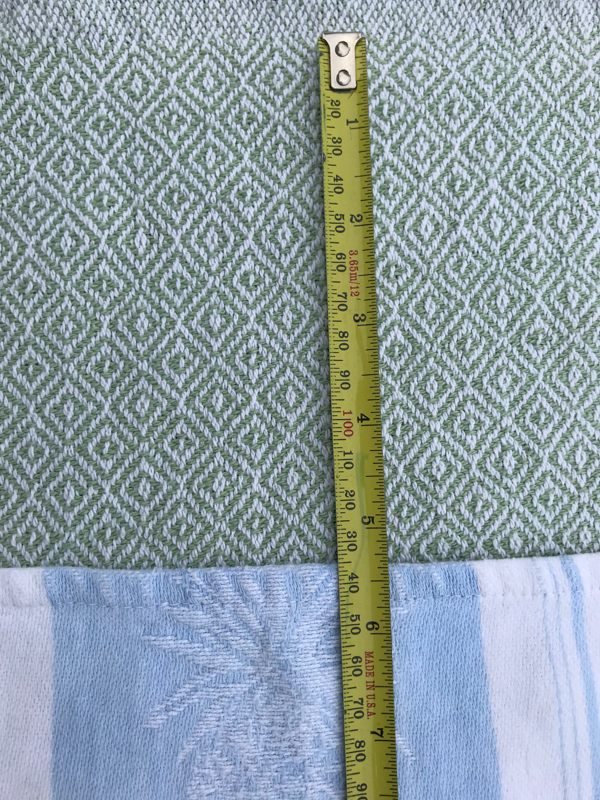 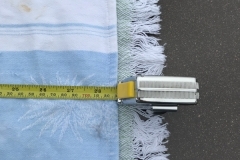 On the whole, I was pleased with the dimensions of the resulting towels. 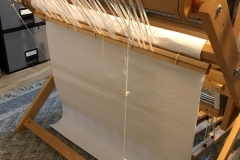 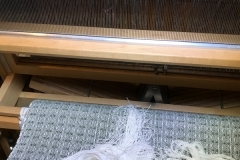 When you discover loose threads, near the end of the warp.